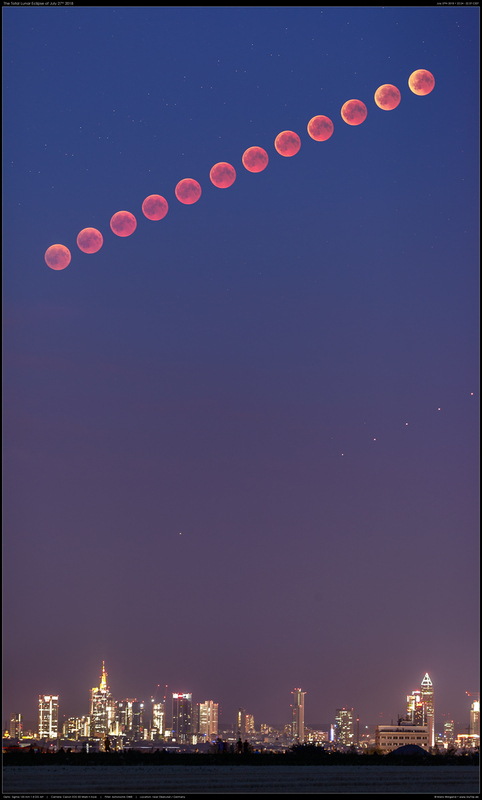 Composition of 9 images taken Friday, July 27th from Italy with the eclipse visible starting from the Moon rising with the same still immersed in the evening twilight. The images were taken with a Canon 1100D mounted on a TeleVue 108/880 apochromatic refractor from the Lodigiano astronomical observatory. 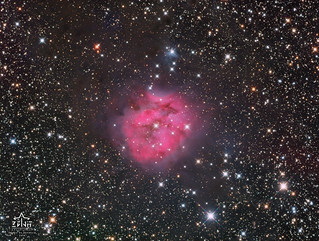 A single image that picks up the Moon coming out of the shadow cone, you can also see some stars in the field. 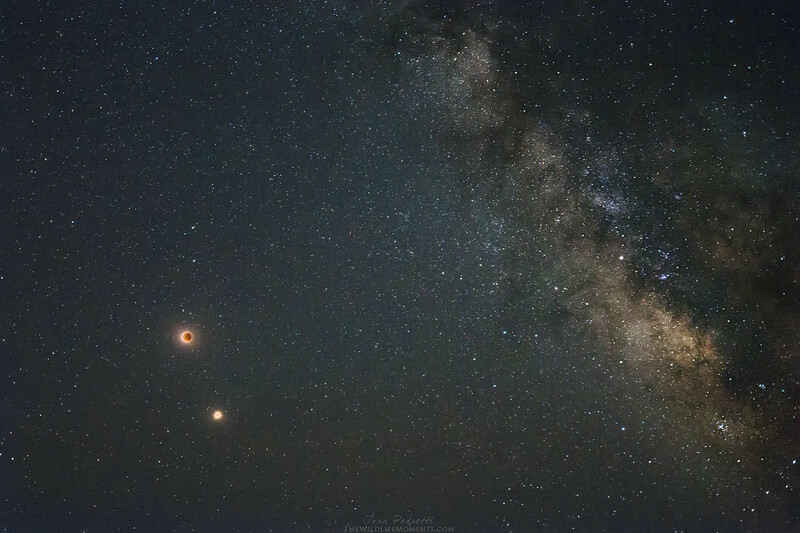 The lunar eclipse of July 27 and the milky way in Sardinia. Last edited by bystander on Sun Jul 29, 2018 4:30 pm, edited 1 time in total. 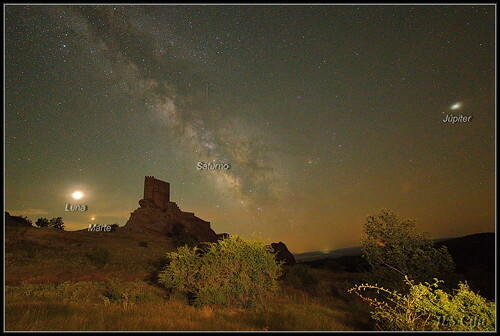 Milky way over Zafra Guadalajara. Spain. Vía láctea sobre el de Zafra. Guadalajara. España. Aristotle is a relatively new impact crater, situated in the north-eastern quadrant of the Moon, on the south shore of Mare Frigoris and east of the mountainous region known as the Alps Mountains. I got 135 videos, 320 images and I will have a good time to process everything. It was an incredible moment, even in the midst of clouds, unique experience, I leave for you the last image I made of this event. For me it was the moment that surprised me the most during the whole eclipse, when the sky opened and this beautiful image appeared. 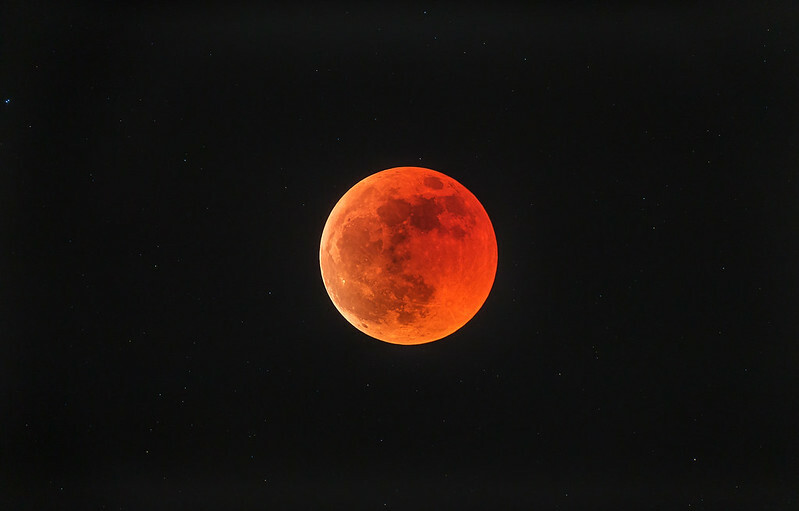 In 2018, very unusual astronomical situation occured: both perigee and apogee full Moons were totally eclipsed. 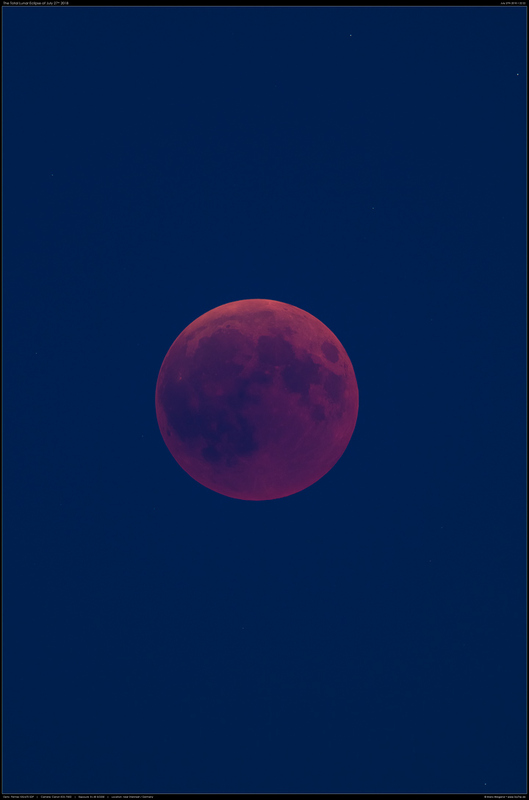 The perigee one, on 31 January 2018, was one of two so called „supermoons“ of 2018 and also second full Moon of the same month (in UTC time), making this one Super Blue Blood Moon. 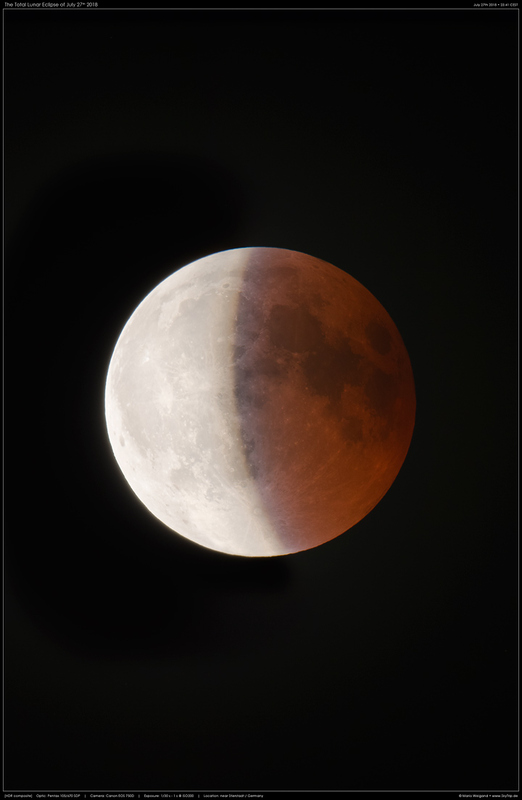 The apogee one, on 27 July 2018, was even more interesting as the eclipse itself took a central stage as the century’s longest one (with 1 hour and 43 minutes long duration of totality). 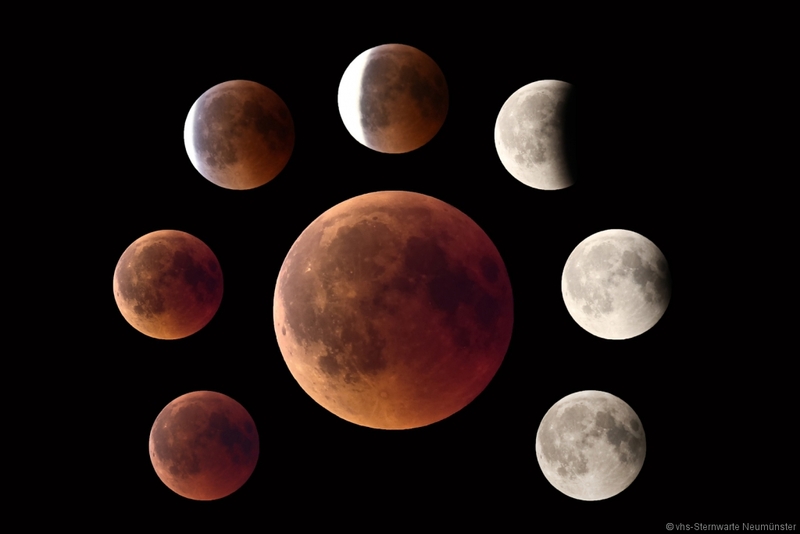 Next time both perigee and apogeetotal lunar eclipses occur in 2033 and 2036. To preserve true angular proportions of both captured eclipses, during its maximal phases, I used completely identical equipment: Canon 6D, Canon 6D, MTO 1100mm, f10.5 on Vixen GP-2 mount, with same camera settings too. Image taken from my remote observatory "Zenit"
Telescope: RC GSO Truss 10"
A photo with the technique of short exposures. In 4 nights, I selected 95000 frames on 200000 captured at 300ms. Today, Mars is closest to us, less than 57.6 million kilometers from the Earth. In other words, for humans on Earth, Mars appears to largest tonight. However, even the largest Mars will not be as big as the moon, as in the rumors. In fact, the largest Mars looks like only about 1/75 of the moon, and it still looks like a bright star to the naked eye. In the early hours of the morning, I took photos of the moon and Mars. Putting together two photos, you can intuitively feel how big the largest Mars will be compared to the common moon. 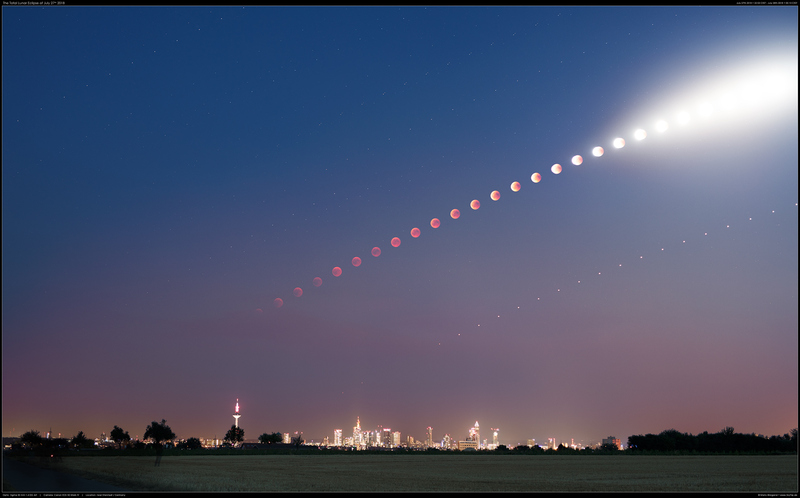 In northern Germany the moon was rising total eclipsed. 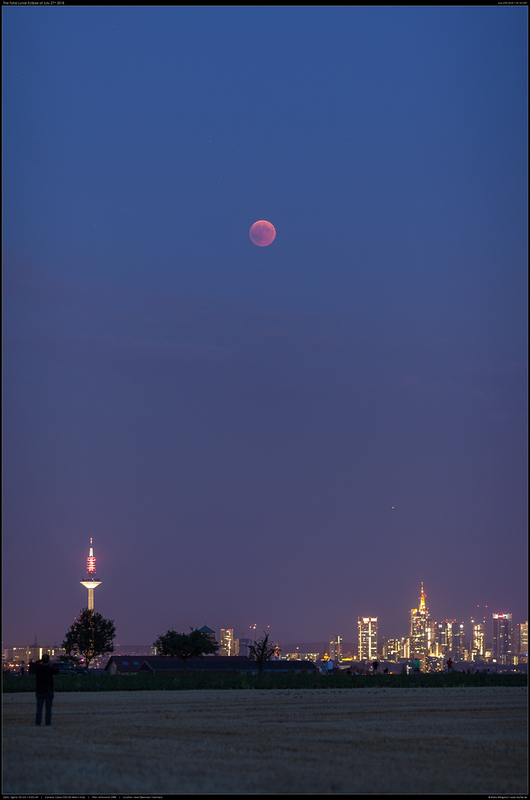 So we didn´t see the first part of the Eclipse. But for the 400 visitors of our Observatory in Neumünster it was just perfect. 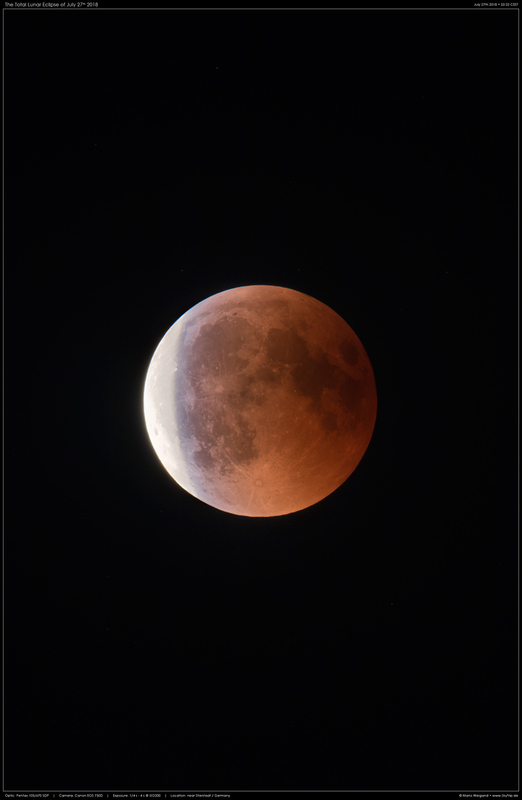 A summer Lunar Eclipse under perfect conditions and right after sunset. Those seven pictures I took with my Canon EOS 60D and a 480mm Williams APO sitting on our 2000 pounds and 48 inch Newton. The surface of the crater is cut by a multi-channel system (rille), which gives a "fractured" appearance to the floor. This channel system was named after Rimae Gassendi. The various channels on the crater floor are the result of volcanic and tectonic forces. In April 1966, members of the "BAA Lunar Section" reported the appearance of a sudden reddish glow in Gassendi. 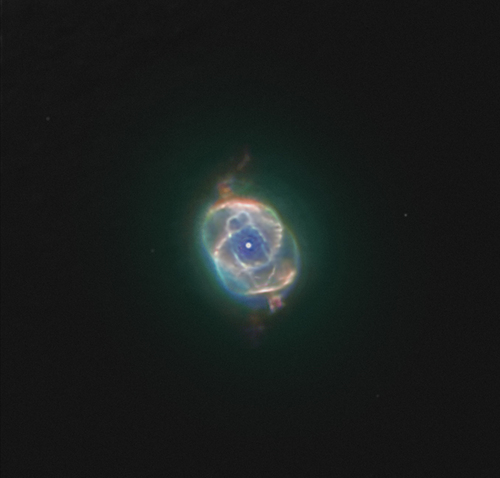 This reddish coloration was confirmed by several experienced observers of the time. From there, Gassendi became a hot target for the search for Transient Lunar Phenomena - transient lunar phenomenon, brief or fleeting, which are described as rapid appearances of lights, colors or change of appearance in the visual, which could demonstrate the existence of volcanic manifestations, escape of gases or other geological processes that supposedly would imply that the moon would not be geologically dead. Mars on July 31st at its closest approach to Earth opposition today. Certainly my best photo of Mars this year, many details easily visible both at the wavelength of visible and in the infrared. Vallis Marineris stands out in the center of the photo as well as several other regions around him, but what caught my attention was the presence of Olympus Mons at 10am as well as the 3 volcanoes of Tharsis a little more towards the center, they can be seen easily as terrain elevations and not simple blemishes. 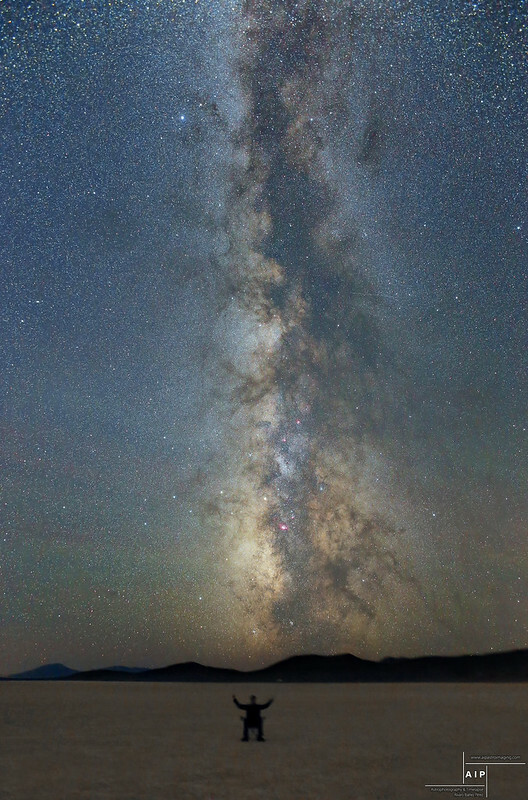 This image shows one of my favourite regions in the Northern skies. 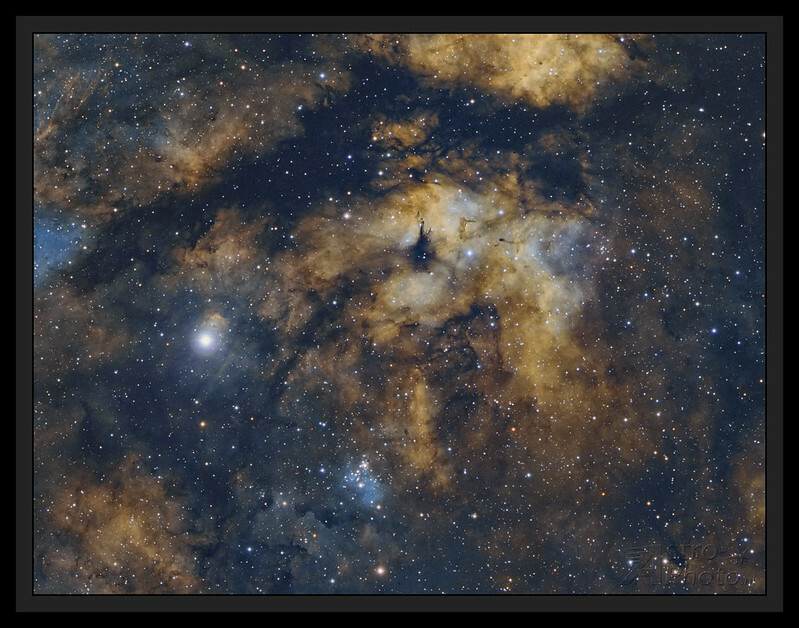 It's the region surrounding the star Sadr in the constellation of Cygnus. 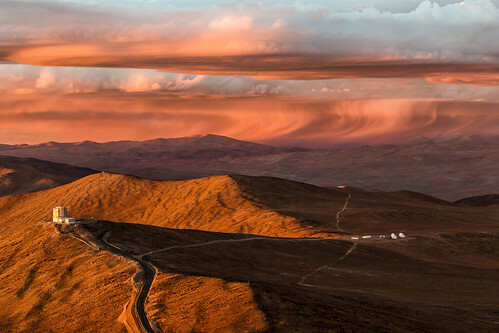 This image was made using astrodon narrowband filters for Ha (5nm), OIII (3nm) and SII (5nm). Equipment used was a TMB92 with a QSI583ws ccd camera cooled to -20C. Processing done with Astropixelprocessor and photoshop.